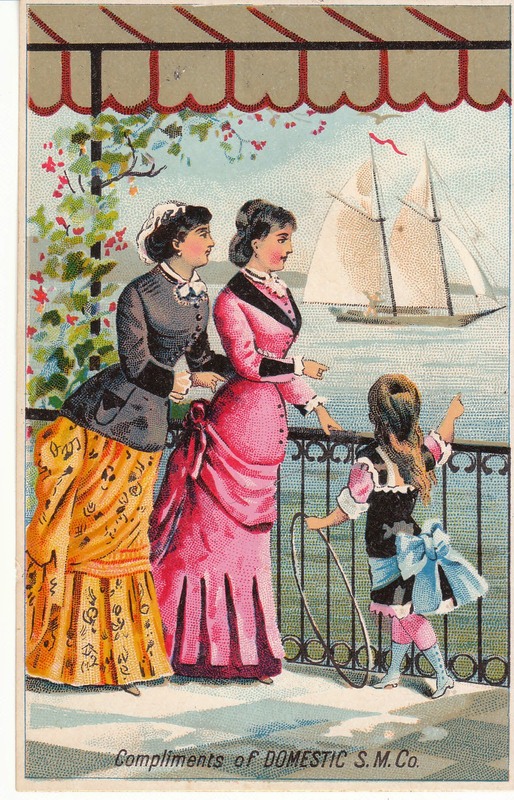 This lovely Victorian trade card is from the late 1800's and advertises Domestic S.M. Co. It features two women and a child watching a sailboat in the distance. I have framed cards like this with vintage paper or scrapbooking paper as a background, in a little frame. You'll find Victorian trade cards at Birdhouse Books.